It’s getting closer and closer. The royal palace has announced that Prince William and Kate Middleton’s baby is due in the month of July. Prince William and Kate Middleton‘s first baby is due in July, so if you haven’t booked your summer holiday yet, do it now. “Their Royal Highnesses the Duke and Duchess of Cambridge are delighted to confirm they are expecting a baby in July,” the palace announced. Now we must simply await the news of the baby’s gender — and they better not keep it secret! We’re getting more and more excited about the royal baby’s arrival, but what of the name? Still no ideas. What do you think? Will you be stalking the royal baby this summer? The Buzz – Kate Middleton’s Due Date Announced! Kate Middleton’s due date is announced. 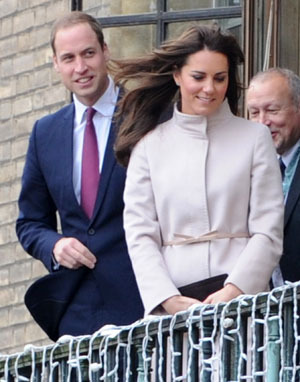 Royal news: Kate Middleton is pregnant!